In both our consumer and competition projects, we can put in place remedies – interventions – that apply to markets and the businesses that operate in them, making them fairer and improving their competitiveness. Over the past couple of years, members of the UK Competition Network (UKCN), in a project led jointly by CMA and Financial Conduct Authority (FCA), have been working together to review our approach to these interventions. We’ve been looking at how these interventions are devised, tested, and monitored, and how well they work in the real world. 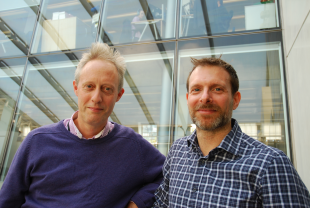 We’ve both been closely involved with the project from the start – Adam heads up our Remedies Business and Financial Analysis team and Stefan recently moved to the CMA to set up the new DaTA unit and founded the FCA’s behavioural economics and data science team. We have worked closely with colleagues in other regulators, particularly Paul Adams who now runs the FCA team, which has led the way in using Randomised Controlled Trials and other empirical techniques within the regulatory community. Today we’re publishing a paper outlining this review – the remedies that we’ve been looking at, and what can be learned. We present examples across a wide variety of industries and emphasise the importance of testing and evaluating interventions to increase effectiveness. When we look back at past actions, we can see that it’s often not enough simply to provide people with a large amount of information and expect them to solve everything by themselves. In sectors like care homes, people are making complex or difficult long-term decisions in challenging circumstance, so we also need to ensure that consumers are properly supported and/or protected. understand the problem – what are the underlying causes and do remedies need to be aimed at changing the behaviour of firms and/or consumers? Markets, supplier behaviour and technology are constantly changing, so we must stay ahead of the curve and continually challenge ourselves to raise standards. Digital revolution and disruption make a real difference to people’s lives. One example is data-based interventions like Open Banking that enable intermediaries to offer customers a personalised service. The new DaTA unit that Stefan is setting up at the CMA is 1 way in which UK agencies are looking to develop expertise in these issues. We should also remember the risks for the digitally excluded: people unable to access online opportunities, or those who can get online but are limited in how they use the internet – how can we work to help them? Suppliers do identify and exploit the observable characteristics of consumers. This is always a concern to regulators but is particularly worrying when the most vulnerable are faced with the greatest costs. At the CMA we take this seriously, which is why we’ve launched a body of work focusing on vulnerability. At what points are people vulnerable when they buy goods and services, and how can we change how we work to improve their experiences and help them get the best deals? A recent speech by our Chief Executive Andrea Coscelli explains more about what we’re trying to achieve. The FCA has already played a major role in this debate with the publication of its Occasional Paper on consumer vulnerability and its more recent work on its Approach to Consumers. All of the major UK regulators are similarly increasing their focus on these issues. We want people to get a fair deal when acting as consumers in markets, and the CMA, the FCA and the other regulators are working hard to ensure that our regulatory powers and tools are used to make this happen. It’s not always easy. People face real constraints on their time and their natural instincts under such conditions may be exploited or exacerbated by firms’ business models. By working together and engaging with our stakeholders, and through constant learning and iteration, we can make a real difference to people’s daily lives. Why are you not investigating the school uniform market. The tie up between schools and single source uniform suppliers is restricting competition and distorting the market. Parents are being forced to buy uniform Which is considerably more expensive and inferior in quality compared to what might be available in super markets and other high street stores.